Annie Norman at Bad Squiddo Games is launching a range of Post Apocalyptic female miniatures. The project is 850% funded and is running until 27th November, so get in quick. Delivery is due in February 2017. Midlam Miniatures are back with their third Kickstarter, this time producing a set of 28mm Cultists with a definite tentacle tendency! They are already almost 550% funded on their £900 target. The project is running until the 18th December, with delivery due in February 2017. This is the first project from SASM, producing a range of Modern 28mm miniatures, depicting civilian contractors working in Benghazi in 2012. The project has already exceeded its $2,000 funding goal, and is running until the 31st December 2016. Delivery is due in April 2017. Spartan Games are expanding their Dystopian Wars game with a new 2-player set, new models and a new rulebook. 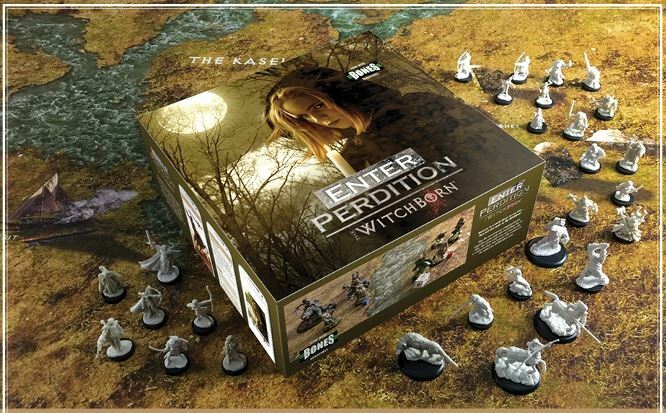 The project gives backers the chance to purchase the priginal game as well as this expansion. It’s just reached its $22,500 funding goal and is running until 5th December, with delivery due in August 2017. …but, by all accounts is rather good. Now, they want to produce a new, updated version of the game with updated rules and new expansions. It seems to be popular. It launched today, 25th November, and has already raised over $3,000,000! The project is running until 7th January 2017 and delivery is due in December 2020. Yes, that is not a misprint: December 2020. Pay now, deliver in 4 years time. After the last project, I suppose they are managing expectations, but really? Kraken Wargames is running a project top produce a set of 28mm resin cast scatter terrain. The project has already reached over 300% of its 3,000 EUR target, and is running until the 18th December. Delivery is due in May 2017. Undertown – The seedier side of the ‘sphere. Scenery Maestro’s Antenociti’s Workshop have become very well known for, amongst other things, their scenery for the Infinity sci-fi skirmish game. This project is to produce pre-painted urban scenery for this game, and as the title suggests, this is perhaps the slightly down-market side of town. The project has been very popular, hitting almost 600% of its £6500 target. You will have to be quick, as the project finishes on the 27th November. Delivery is due in May 2017.